You've probably been told that you need a good credit score to get the best rate on a mortgage. It's true, but a new report from LendingTree underscores that truth in dollars and cents. LendingTree is a platform where consumers can shop for loans from different lenders. It keeps track of the loan offers made on its platform, and in particular the interest rates that are offered. In July, the average mortgage interest rate offered to consumers in the top 5 percent of credit scores was 4.31 percent, down from 4.34 percent the month before. That’s pretty good in this environment. 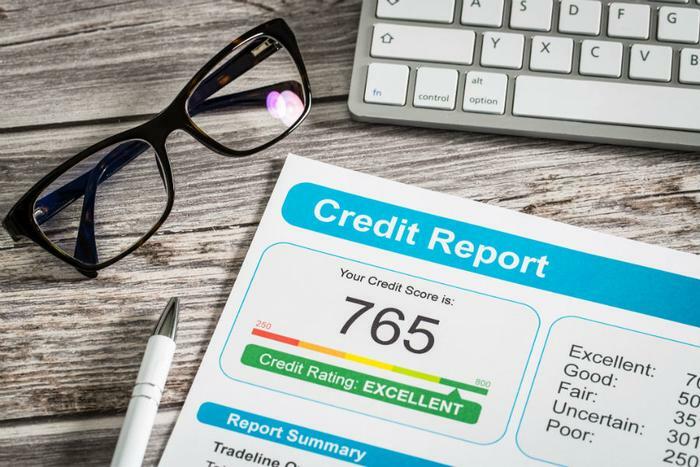 For consumers with excellent credit scores of 760 and above, making up the top 35 percent of credit profiles, the average rate was 4.84 percent -- still pretty good. But consumers with credit scores between 680 and 719 were offered loans with an average rate of 5.13 percent. The 29 basis point difference might not sound that significant, but it can make a difference in your monthly payment that really adds up over the life of the loan. A consumer obtaining a 30-year fixed-rate mortgage of $150,000 at 4.84 percent would have a principal and interest payment each month of $791 a month. The same mortgage at 5.13 percent would cost $817. Again, it doesn't sound like a big difference, but the spread gets larger if you borrow more money. According to LendingTree, the difference between the two credit scores totals $15,000 on a 30-year mortgage of $232,000. The difference in monthly payment is $41 for the same house. "Our report demonstrates how a credit score can impact a borrower in very tangible terms," said Tendayi Kapfidze, LendingTree's chief economist and report author. "As much as people obsess over credit scores, many think of its importance in the binary ‘approve/decline’ paradigm. Few borrowers actually know how their credit score impacts the cost of financial products, and we hope this report increases consumer education." There isn't a big secret to improving a credit score. The most effective way to do it is actually the easiest -- simply pay all of your bills on time. Some consumers have a low credit score because they don't have access to credit. Applying for a credit card can help, as long as you don't go into debt. Making one or two purchases each billing cycle, then paying the balance in full each month, will help raise your credit score.